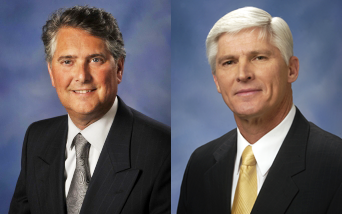 Michigan GOP Chairman Bobby Schostak, left, is again calling on National Committeman Dave Agema to step down. 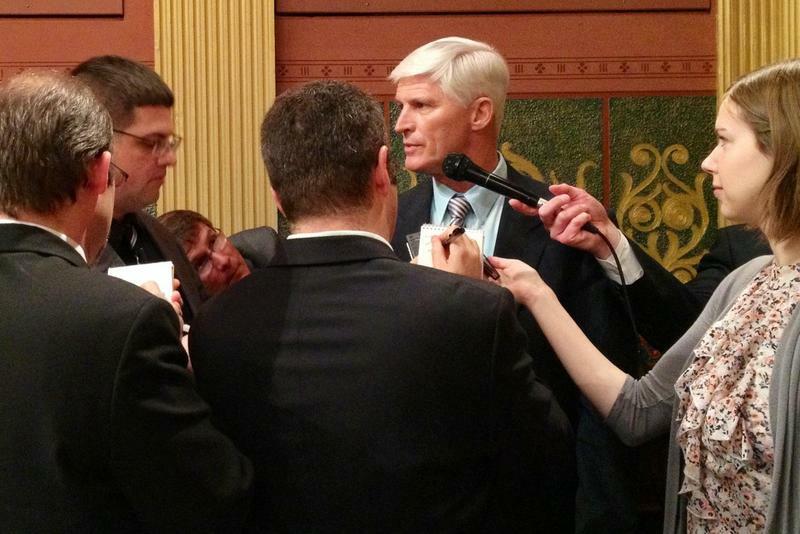 Some controversial Facebook posts have re-kindled the condemnation and defense of Michigan’s controversial Republican National Committeeman Dave Agema. Michigan Republican Chairman Bobby Schostak said this morning that he was unaware of the particulars of what Agema posted or re-posted, but said if they were similar to prior posts and commentaries then they were inappropriate and not helpful to the Republican cause. Last year, Schostak, Governor Rick Snyder, and Republican National Committee Chairman Rience Priebus were among those who called on Agema to quit. Schostak says his opinion has not changed. “He does not represent the values of our party, of our state committee, of our national committee,” he said. Some Republican activists have called on other party leaders and elected officials to shun Agema. 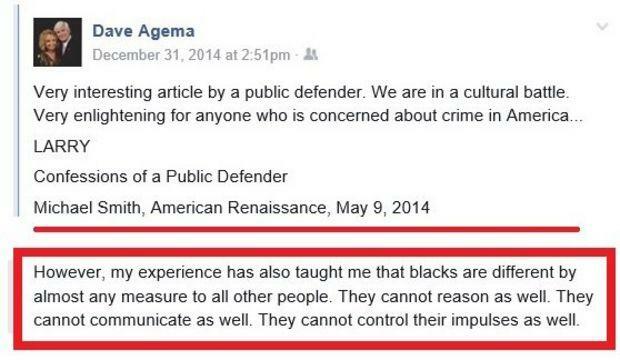 But Agema is not without his defenders, especially in the Tea Party. He is a scheduled speaker at a Tea Party gathering this coming weekend. Agema says his words and deeds are being twisted and mischaracterized by his enemies. Republican critics say they are powerless to do anything more than complain about Agema unless he is convicted of a crime. They say GOP rules don’t allow for a national committee member to be removed unless he or she has been convicted of a felony. Agema ousted an incumbent and was elected to serve on the Republican National Committee by a state GOP convention in 2012. Democrats took advantage of the dust-up to call on Republicans to do more to stop Agema. “It's long past time for Republicans to stop pandering and finally take a stand against hate," said Michigan Democratic Party Chair Lon Johnson said in a statement. This Week in Review, Jack Lessenberry and Zoe Clark discuss stories which seem new but are actually just more of the same. 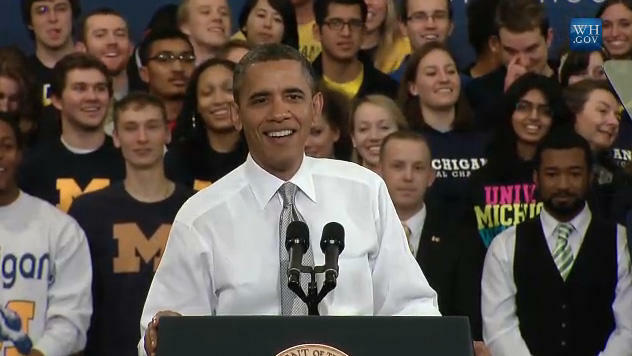 Dave Agema, President Obama and the 114th Congress are all giving Michigan a sense of Déjà vu. Listen to Jack and Zoe discuss this week's top stories in Michigan. This year is starting off with some controversy for Michigan Republicans. Republican National Committeeman, Dave Agema, re-posted an article on his Facebook page that leveled attacks at African-Americans and Muslims. This is not the first time Agema has courted controversy and there are renewed calls for him to step down. This week at the annual Detroit Regional Chamber’s policy conference on Mackinac Island, Governor Snyder joined the chorus of people calling for an update to Michigan’s Elliott-Larsen Civil Rights act to include protections for gay, lesbian, bisexual and transgender people… sort of. There is a lot of spoon-feeding to the press here on the Island – a litany of press conferences and media scrums. And, yesterday, one of those press conferences was held by a group of business leaders who want LGBT protections rolled into the civil rights law. Meanwhile, at almost the exact same time as these business leaders were making their announcement, the Governor was talking to us, telling us he thought the legislature ought to take the issue up. But, did he actually endorse it? “I’m encouraging them to say there’s been a lot of dialog and discussion on this. It’s been healthy in the public and I think it could be an appropriate topic for the legislators to take up. I would appreciate that,” the Governor said. And, that statement is fairly typical of the multiple exchanges we had with the governor on this topic.